As a not-for-profit organization, Roundabout offers exciting events as benefits of membership and as additional opportunities to support the organization. For more information on how you can receive invitations to these exclusive events, please call 212.719.9393, ext 354. Each year at our Gala, we honor a legendary theatre performer or philanthropist with the Jason Robards Award for Excellence in Theatre. Past honorees include Helen Mirren, Audra McDonald, and Christopher Plummer. The Gala includes a seated dinner, live auction and a one-night-only concert by a special guest star. All Gala proceeds benefit Roundabout’s many programs, including Education at Roundabout. On Monday, February 25, 2019, Roundabout Theatre Company recognized the accomplishments of Tony and Emmy Award winner John Lithgow with the presentation of the Jason Robards Award for Excellence in Theatre. 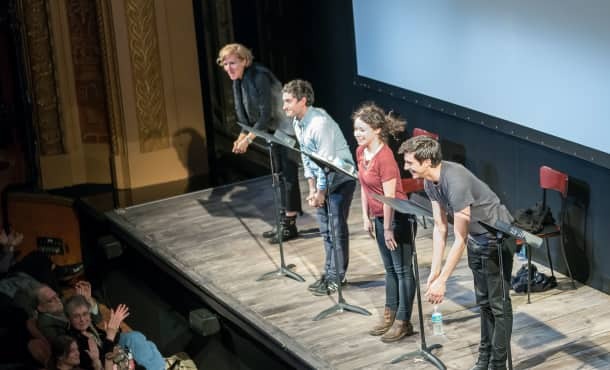 Roundabout presents one-night-only benefit readings starring some of the industry’s top talent. On Monday, April 29, 2019, Roundabout Theatre Company will present a Reunion Benefit Reading of the 2004 Broadway production of Twentieth Century starring Alec Baldwin and Anne Heche and directed by Walter Bobbie. Roundabout has been proud to host four Casino Nights, led by artist host Jennifer Tilly (Bullets Over Broadway). Casino Night includes Texas Hold ‘Em poker and blackjack tournaments, as well as other open casino games, including blackjack, roulette and craps. 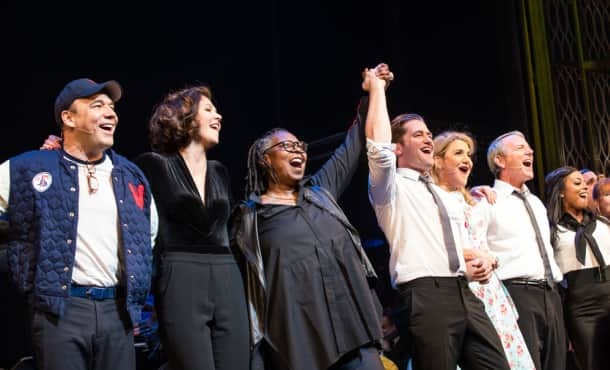 On Monday, May 6, 2019 at the American Airlines Theatre, Roundabout Theatre Company will host its fifth annual Casino Night with artist hosts Jennifer Tilly and Laura Osnes, plus poker champions and film and theatre stars. Casino Night includes a Texas Hold ‘Em Poker Tournament, a Blackjack Tournament, and other open Casino games including Blackjack, Roulette, and Craps.